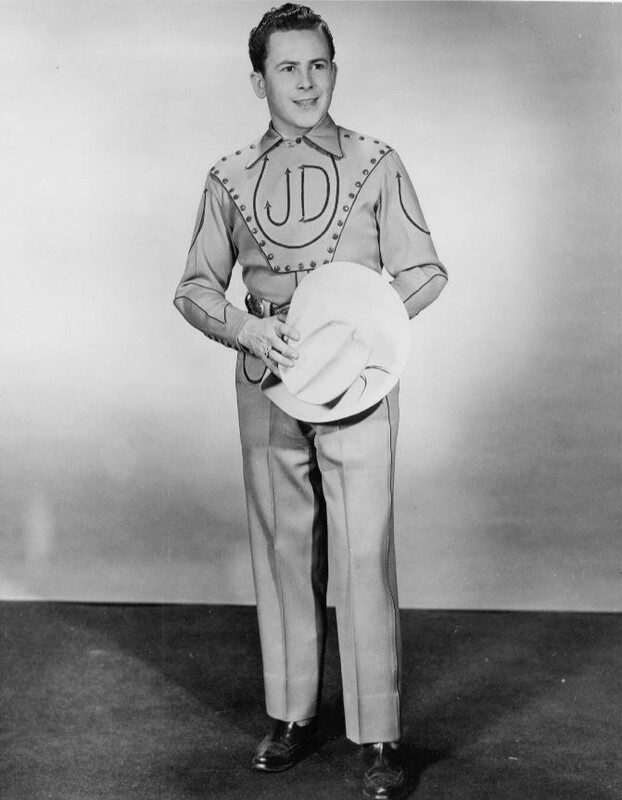 James Cecil Dickens (December 19, 1920 – January 2, 2015), better known as Little Jimmy Dickens, was an American country music singer famous for his humorous novelty songs, his small size, 4’11” (150 cm), and his rhinestone-studded outfits (which he is given credit for introducing into country music live performances). He started as a member of the Grand Ole Opry in 1948 and became a member of the Country Music Hall of Fame in 1983. At the time of his death, he was the oldest living member of the Grand Ole Opry. 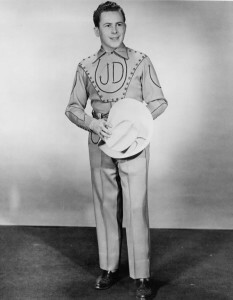 Dickens was hospitalized after a stroke on December 25, 2014, days after his last appearance on the Opry to mark his birthday. He died of cardiac arrest on January 2, 2015, at the age of 94. He is survived by his wife, Mona Dickens, whom he married in 1971, and two daughters, Pamela Detert and Lisa King. After his funeral on January 8, 2015 at the Grand Ole Opry House, Dickens was entombed in the Cross Mausoleum at Woodlawn Memorial Park Cemetery in Nashville.